For two decades, Priscila Uppal heard nothing from her mother who had run off to Brazil. One day, she discovered her mother's website and decided to contact her. 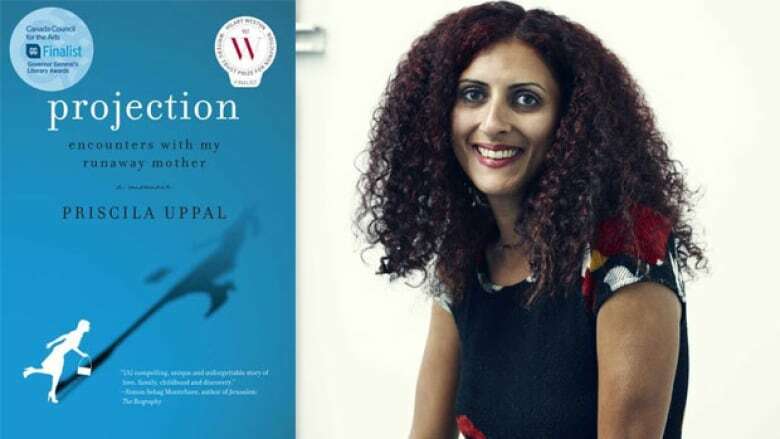 Priscila Uppal hated being the girl in school without a mother. No one she knew had a mother who had run away and abandoned the family. When Uppal was eight years old, her mother left her life in Canada and returned to her native Brazil, leaving behind her disabled husband and two young children in Ottawa. After two decades without any word or contact between the two, Uppal stumbled upon her mother's website and arranged to meet her in Brazil. The story of that trip is at the heart of Uppal's surprising, sometimes shocking, memoir Projection: Encounters with My Runaway Mother. She spoke to Shelagh Rogers about it in 2014. Uppal died on Wednesday, Sept. 5, 2018. "I wasn't a daughter to my mother for so long that I just felt like I was looking at a celebrity [website] or someone you have a vague knowledge of and might be able to recognize them in photographs, but don't know who they are, what their thoughts are, what their dreams are. I had no idea what it meant to be her daughter and that was part of the reason that I wanted to embark on the trip. I wanted to find out who she was and what she had been up to and what she had been thinking about for the last 20 years." "My father had worked for the Canadian government for the international development agency and when I was two years old and my brother was three, my father was in Antigua. He was in a sailboat accident and the sailboat turned over. He swallowed contaminated water. This water attacked his immune system and he immediately became a quadriplegic, so his entire life at that moment was completely shattered. By the time I was eight years old and my brother nine, I think the stress of taking care of an invalid on top of the very real trauma that she experienced as well — my father's trauma is physical, but my mother's is very much emotional. She imagined a very different life for herself and to be faced with the knowledge that her dreams were severed and paralyzed in the same way that my father's body was paralyzed was far too much for her too handle. So she ran off." "I have immense empathy for my mother and more so after writing the book. I just don't think that it means we necessarily we need to feel guilty if we can't have continued relationships with these people. My mother is not capable of having a healthy relationship with others. She retreats almost entirely into the movies — she's a film critic. The memoir organizes itself where each chapter is one day of the trip and each chapter is also named after a movie that my mother has seen over 100 times in the theatre, or a movie about Brazil or a movie about mothers and daughters. This is the frame for the book because my mother actually lives in movieland. It's a very real way to understand my mother and I also think it's a very real way in which many of us attempt to understand the difficult people in our lives, is through art. We look at the role models in art. We look at representations of mothers and fathers in fiction, in the movies and we ask ourselves, is this like my relationship? What can I learn from this relationship? At the same time that I can have immense empathy for what my mother went through and that she couldn't handle the responsibilities of her life, she still has to face the consequences of her decision, which is that she will not have relationships with her children." Priscila Uppal's comments have been edited for clarity and length.